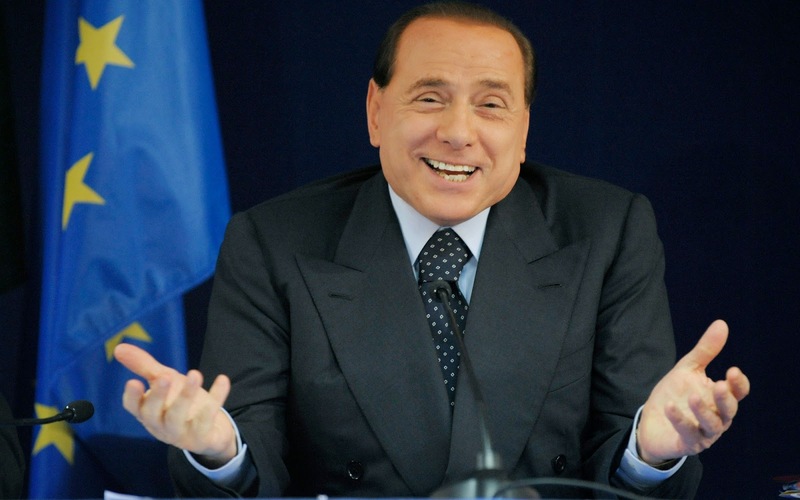 Berlusconi is a prime example that European parties simply are not possible (or may be better said completely ineffective). Try to win votes in Germany, UK, Holland or Finland with him. Absolute a no go. Same as the other way around Schultz getting votes in Italy for instance. Not even to mention all the bagage that some people like Olli take with them in some places. Olli works in say Germany boring, not-corrupt, straight shooter. But that is not what Southeners in general are looking for. Add the history of coming up for Northern interests and you have a deadly mix. Anyway as said before you need candidates as well that have an instant feel good factor. Simply as non-native country voters will largely decide upon that. They donot have or take the time to properly listen to candidates. Schultz and Vanhofstad 2 absolutely no gos on this one. You need a guy that simply has it in him to be popular. Some people have that other not and will never have it. As said on Olli no clear history. Merkel eg a no go on that. Able to present the joint all over the place (N,S, E and W). Political experience and preferably with the EU as well (could be indirect Sarkozy or Merky would clearly pass on this one). Able to manage a reform process (likely a top priority). Culture change points into the direction of business experience, or a lefty like Blair who did that in the UK (but will be totally unpalatable for some of the other reasons). Not German. Simply too much bagage for the South at the moment. No Southerner as well no Southener can sell a Euro solution up North. Conflict of interest like with Draghi/ECB (another failed Merkel appointment on conflict of interest) has it in it to become a disaster as well (with the population up North), this is much closer to the population than the ECB. Mainly doing well in the North but acceptable down South. Break up danger is from the North. Real break up, not Greece or Cyprus leaving. Northern countries going is simply a direct existential one (payers going and Northern countries being very similar). When payers start to move it is game over. Basketcases less so. Able to adjust as there are a a lot of major uncertainties. Preferably financial/economic background. There are the main issues. Just tick the boxes with persons. None of the present candidates comes close, most simply an absolute no go on often even more than one point. Juncker looks however by far the best. But carries too much bagage. Only one I could come up with was the Dutchie De Jager (who is apparently out of politics so no real option and he will be politically a tough sell on top of that). But just on jobrequirements. Just the names I knew so definitely I have missed some. Background, expertise, not too much bagage towards the population (possibly however towards politics). As such still not a real great candidate, but by far the best I could come up with. Compared to Juncker doesnot look like an insider, very likable (most popular minister there in times of austerity), will not look dodgy as Juncker does up North (an important one). Not going to happen of course. Flexible but Juncker is that as well as one of the few. But a good excercise in seeing what is required and what you are going to get. And where a new guy is likely going to fail (as that is in the book, when you go likely far below average). From there Juncker looks like a borderline case (probably worse than that) and the rest is simply a disaster. Another huge strategic miss btw not doing properly your home work. It cost me 1 hour or so and you get a better model to decide upon than the current one (for who should run 500 million people). And one that is likley going to cost. And of course most of the candidates are simply a disaster. Because next to the guy in charge you need a political and organisational platform to get the EU house in order. Both are missing as well. But focussing on what is required also would have given a push in that respect, to get all the noses in the same direction.